Our new two-way Rating system enables both buyers and sellers to build reputation that gives confidence to those doing business with them. The system is based on purchases confirmed by both parties through our inquiry system. Our format focuses on being brief and to the point and excludes third party opinions, but we allow allow linking to more lengthy investigations in other forums. We also have protections in place to guard against fake reviews. There's way too much cover in this post, so please read through the detailed help guide. 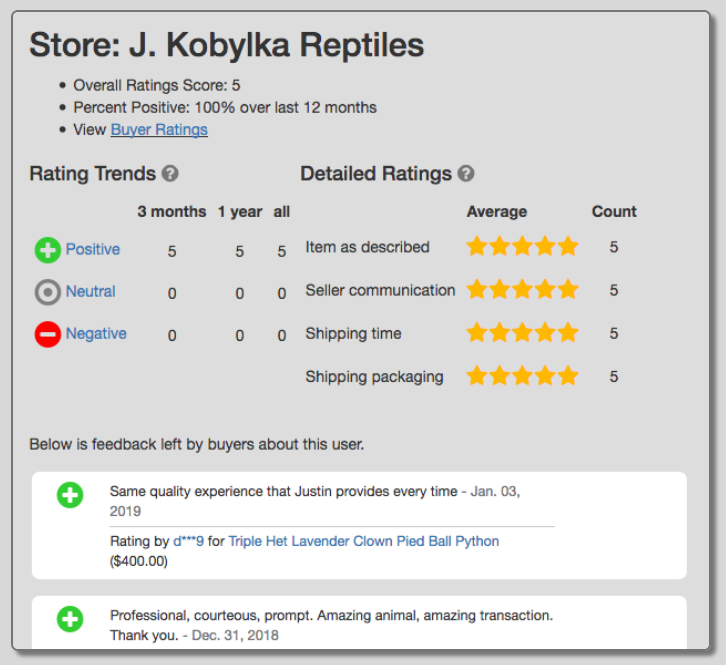 Use the "Sold To" action on your messages page on our site within a particular message thread to assign an item to a customer (buyers can find a "Rate This" button in the same place). Sellers can also mark an item as sold on the inventory page (and assign it to a particular buyer). The guide also has a FAQ at the bottom answering some common questions. For example, feedback from our older Inquiry Survey system are not eligible as ratings, as explained here.